Coach Wilkins enters his first year at Ivy Tech. 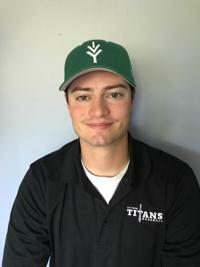 Connor will be the catching coach, the weight lifting coaching coach, and the four year placement coordinator. Coach Wilkin’s main focus is the development of the catchers in all aspects of the game. Connor is a former player of Coach Hershberger’s at Concordia Lutheran High School. Connor was 1st team all conference and all district Catcher while at Concordia. Coach Wilkins was also one of the team captains his senior year. Coach Wilkins was recognized by PBR as one of the top 50 prospects in the state of Indiana. Connor went on to play college ball at Jackson Community College in Jackson, Michigan. His sophomore year at Jackson, Connor was recognized as a MCCAA Academic All Conference Catcher. After Jackson, Connor received a scholarship to play ball at Indiana Tech where he suffered a career ending injury. developing Northrop’s catchers into college caliber catchers while he was there. Coach Wilkins has worked with over a dozen high school catchers in the Fort Wayne area over the last four years. Coach Wilkins also runs @bluecollarcatching a social media account on Instagram, Twitter, and Facebook. This account is to help catcher’s learn about the position.